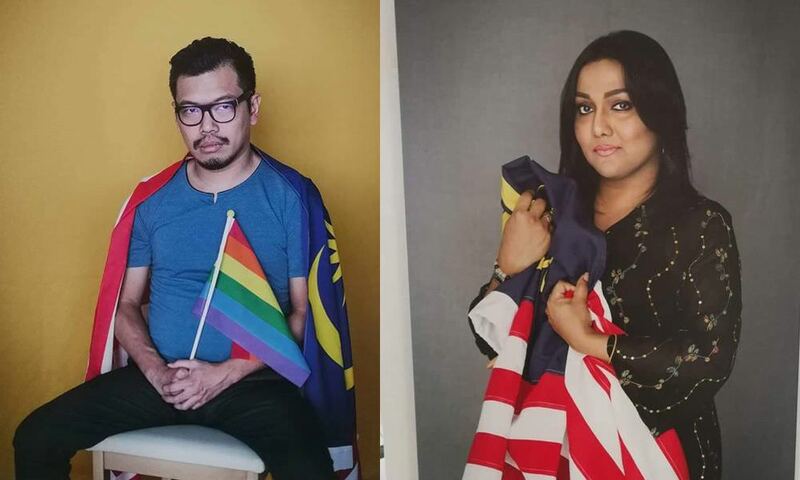 GEORGE TOWN, MALAYSIA – Exhibiting a series of 28 photographic portraits displaying a diverse selection of Malaysians posing with the Malaysian flag, photographer Mooreyameen Mohamad’s exhibition Stripes and Strokes came under fire this week as the portraits of LGBTQ activists Nisha Ayub and Pang Khee Teik were taken down on “instruction”. Igniting furore from both the arts and LGBTQ communities, the unexpected move was unimaginable, considering how both activists were simply showing their love for the country, and in no way making a statement against the new government. After all, the photographs were initially shot and exhibited last year in 2017 to commemorate the 60th anniversary of Malaysia’s independence (the 60th Merdeka)(https://m.facebook.com/events/1872277629767373). 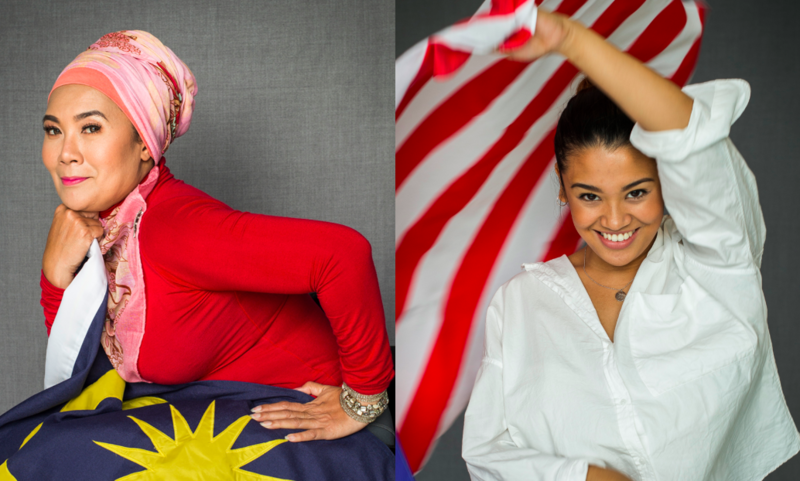 By wearing the Malaysian flag, each of the subjects depicted in the portraits were meant to act as a single piece in the patchwork of people that makes up one Malaysia, showing solidarity in allowing Malaysians to be who they want and love who they want as one inclusive country. Trans activist Nisha was the first transgender woman to receive the International Women of Courage Award in 2016, and is described as a soft-spoken, strong and tenacious person. Meanwhile, gay activist Pang was described as the gay icon for Malaysia who put LGBTQ on the agenda and deserved more recognition for his courageous voice. While both portraits have been removed with uncertainty as to what the next move will be, both Nisha and Pang have since made public statements on social media responding to the move, receiving a combination of both homophobic comments and an outpouring of support from the general public. 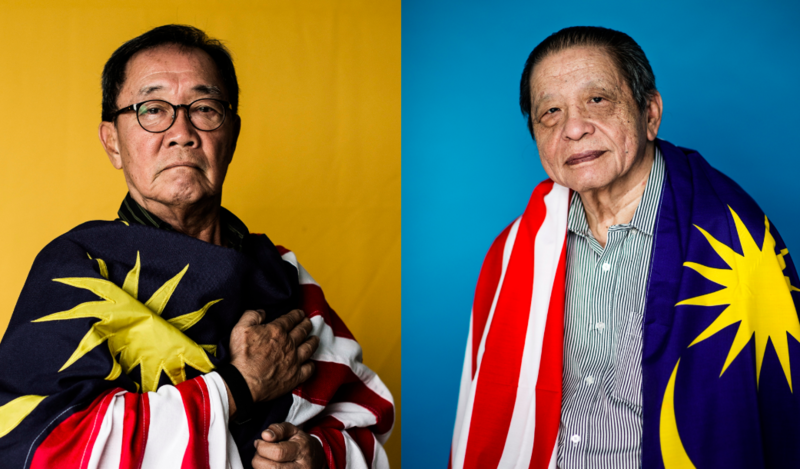 The collection of portraits are breathtakingly beautiful, and when we saw these photos, we felt the emotions emanating from these people, the love they no doubt must have felt for Malaysia as each photo was snapped. If only then, this solidarity could have remained a solid part of this exhibition throughout its run, and showcase Malaysia as one united country through the eyes of Mooreyameen and its colourful spectrum of citizens.